The closer you stay to the fairway bunker on the right the easier the second shot becomes. 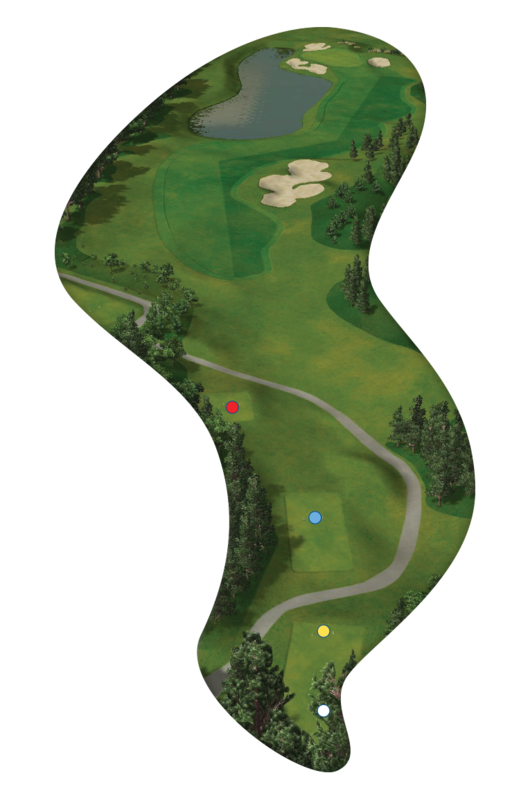 Aim left for a safer line and the second shot becomes longer with a more difficult angle to the green. The green is protected by some well placed bunkers. Watch out for the carry over the pond, it can be deceptively far!